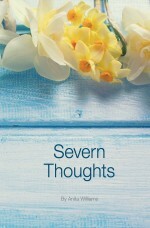 Interest in Severn Thoughts, the fundraising book for the wonderful Severn Hospice is gathering momentum. Since the launch at the recent Midnight Walk, stocks have been ordered and more and more people are asking about how to make a purchase to help this amazing cause. Penning this latest collection was something I was passionate about getting right. I wanted to create a series of poems and rhymes about every day things which readers could relate to, whilst all the time considering the wonderful cause I was creating it for. I had heard so much about the tireless commitment of the team of dedicated staff and volunteers at Severn Hospice, that I decided to raise funds for their amazing cause by writing this book. This latest collection of poetry and rhyme includes many favourite poems which I have written over the years, together with a series of brand new ones, exclusively penned for this special publication. Oh my goodness! The warm welcome I received with open arms engulfed me from the outset and I wasn’t expecting this amazing hospice to be such a happy place. Make no mistake about it, Severn Hospice is a happy place. It’s a place where making the most of each day is special. Looking at what makes people smile and delivering it with love and compassion is what motivates the dedicated nurses and the extended team who make this place an exceptional facility. I walked around the beautiful gardens to discover lovely little places for solitude and quiet; spaces to sit and relax, or admire the various carefully tended plants and trees. Once inside I was greeted by John Fairclough, a formidable character who exudes warmth and speaks so positively from the heart about Severn Hospice and its family focussed environment. As vice chairman of trustees, John took time to explain to me how important it was to ensure the future sustainability of Severn Hospice and how grateful they all are to the fundraisers who make it possible. I sat quietly listening to this wonderful man as he told me about the history of the hospice, the hard work of its staff and many volunteers, and the resolve to keep moving forward for the cause. I knew it would be an emotional journey for me as I learned more, but I didn’t realise just how compelled I would become to deliver something special for Severn Hospice. Sitting with a steaming cup of tea in a pleasant side room, I smiled as John wrapped up his story. ” Now then Anita, there is one final person I would like you to meet” he said. I imagined what it would be like to be a patient at the hospice, and of course this is very difficult to understand. How shattered my world would become if ever I received news about my life being shortened in this way, and my heart went out to those who find themselves on the receiving end of such news. What a comfort Severn Hospice must be for them, and what fantastic inspiration I have drawn from my recent visits to one of their sites. John and Clare both left their profound imprint on me and with new found energy and enthusiasm, it didn’t take me long to pen my first poem. I have tried to make this poetry collection as enjoyable and imaginative as possible. The poems and rhymes contained within are all about our experiences of life and what it offers us each day. The pages are uplifting and hopefully engaging, and always with positive “feel good” messages. What a wonderful, comforting and rewarding thought. There was no stopping me, once I had encountered the happiness this unique and special place brings to those who need it. I have never felt so inspired, and so elated that I could contribute with my passion for writing. Hey presto! 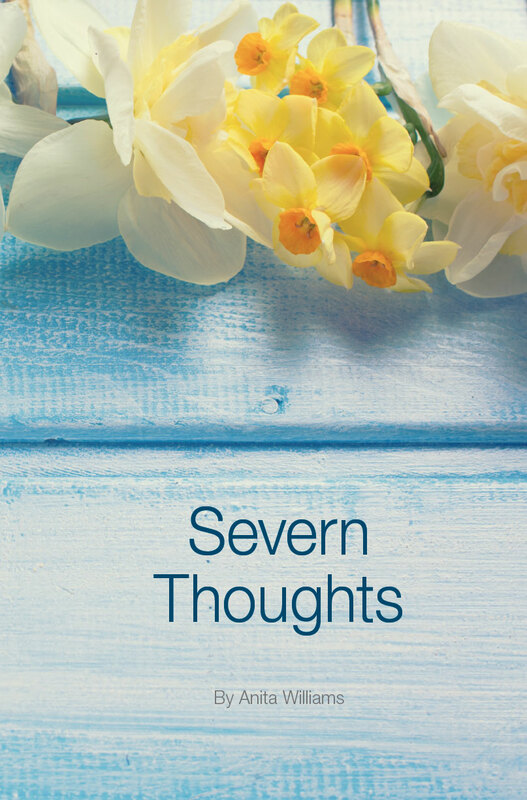 “Severn Thoughts” is now on sale and I am very happy to be able to share it with you. 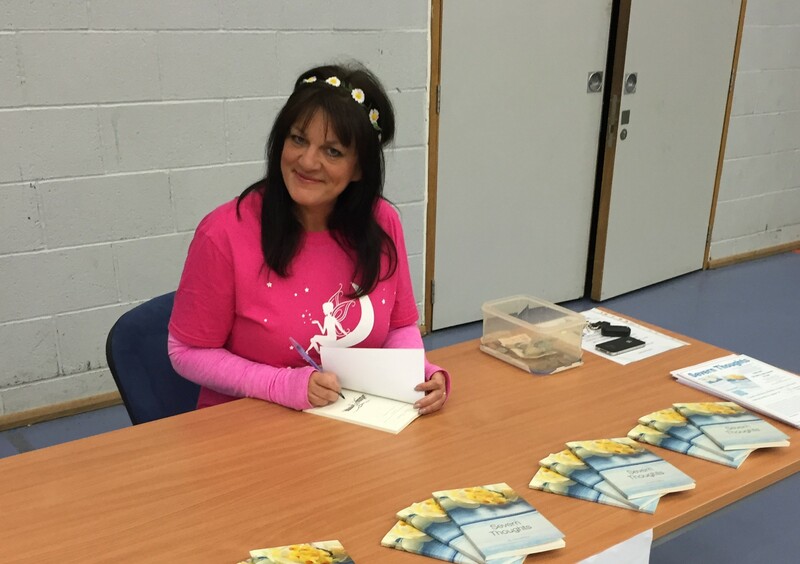 Severn Hospice has touched my heart indelibly, and I thank you for taking the time to read this blog and potentially buy this book, my own effort towards this special cause. Thanks a million for reading..and if you choose to buy the book, thank you for your contribution to Severn Hospice. This entry was posted in Available on Amazon, Books for sale, fundraising books, Kindle Edition Books, Poems, Poetry Books, Severn Thoughts and tagged charity poetry, charity poetry collection, fundraising poetry for severn hospice, poems by Anita Williams, poems for severn hospice, poetry book for severn hospice, severn hospice, severn hospice book, severn hospice poetry book, severn thoughts by Writtenwithasmile. Bookmark the permalink.